Looking for a long overdue upgrade so YOUR home has designer-beautiful furniture and the state-of-the-art mattresses you know you need? You might have been putting this off, worried about the price. Wait no more: the Florida Panhandle’s solution is right here at Lindsey’s Furniture! 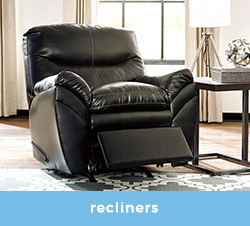 For years now our home furniture store has specialized in outfitting households like yours with the most popular brands and styles at the lowest prices. When you shop Lindsey’s, price cuts aren’t a one-off or special sale gimmick but an EVERYDAY happening! Here’s a quick overview of only some of the ways we’ll kit you out right and give your wallet a break. Our home furniture store is proud to be the people’s choice for world-renowned brands including incomparably designed Catnapper motion furniture, the Victorian air of Millennium’s pieces and sets, and the luxury available to all thanks to the Darcy sofas and other offerings from national leader Ashley. Better still, our relationships with these manufacturers plus their unparalleled efficiency mean we manage to make a profit AND pass on EXTRAORDINARY savings to YOU! 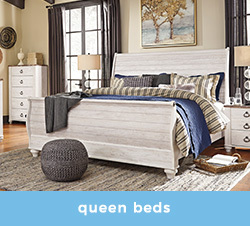 The scientists in the labs at Sierra Sleep by Ashley and other mattress brands we carry never sleep so that YOU can! They’re always working hard to perfect sleep technology in memory foam, pocketed coils, and other innovations that have transformed the mattress world. 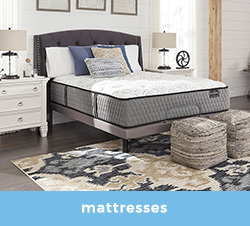 So if you’ve always had trouble getting a good night’s sleep from inferior mattresses that sagged or made you sweat, our home furniture store’s offerings promise you the solution, again for less that what you expected to pay. 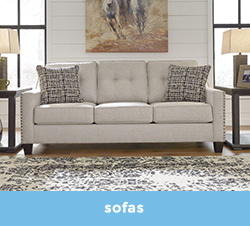 We’ve all experienced hard times so our home furniture store makes no-hassle financing easier with four options you can apply to for quick and easy approval. Enjoy your new furniture or mattress now and pay later.